Maybe you just moved? Or maybe you want to redecorate without getting rid of your old stuff? No matter the situation, you are in need a storage unit. There are a lot of logistics to go through when deciding how to store items and who can help you. A.C. White is here to help you understand these things and walk you through the process. It all begins with a call and a free quote. Let’s get started. Whether you’re moving into a new home that is cross-town or across the country, you need to prepare your old home for your eventual departure and move into your new house. This can be easily facilitated by calling on the experienced moving and storage team at A.C. White. You will be greeted by seasoned professionals who will assist you with pickup storage, meaning you won’t have to break your back lifting and moving your heavy furniture and other items. The A.C. White professionals will take care of this for you, working with you to properly transport your valuables and, where necessary, provide you with vintage furniture storage. These considerations make choosing A.C. White the best choice. 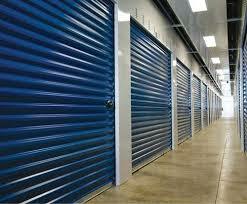 You should immediately call A.C. White to assist you with your Alpharetta residential storage and move. A.C. White is a four generation company who has been in the business of meeting the storage needs of Alpharetta residents and others throughout the state since 1926.